In another thread, I noted that I had been looking for a ‘reasonable’ iBeacon. The ones I’d seen advertised on Amazon (UK) are either relatively expensive for something I’d like to just try out using, or priced at a level where I would purchase one, but the comments and ratings lead me to the conclusion it wouldn’t be a good experience. Does anyone have any first hand experience and recommendations for makes/models; positive or negative are useful, but in particular, ones that might be both reliable and reasonably priced for someone wanting to experiment with using them (with Launch Center Pro on iOS) would be perfect ? In terms of range, I personally wouldn’t require anything more than 5 metres. I have no issues with it using any type of power source (AC/battery/USB). I’ve no particular need for it to be weather-proof, a particular size, a particular shape, or a particular colour. But any pertinent experiences around any aspects like these may be useful. Thanks in advance for any recommendations people can share. Maybe she can tell us more about those? I use Estimote iBeacons. I got 3 for ~$50 from Amazon on a trip to the US last year. They have a range of approximately 50 metres. Have you had particularly good experiences with this one then? Not especially, it was one I came across some time ago when we were looking at this type of beacon for a work related project. I have not tried them personally. Okay. As per my original post I’m actually interested in first hand experiences. I’ve found lots of options for iBeacon, but there’s a massive variation in cost and quality and I’m trying to find a sweet spot that’s hopefully available in the UK. Just an update on my search for a reasonable iBeacon (available in the UK). 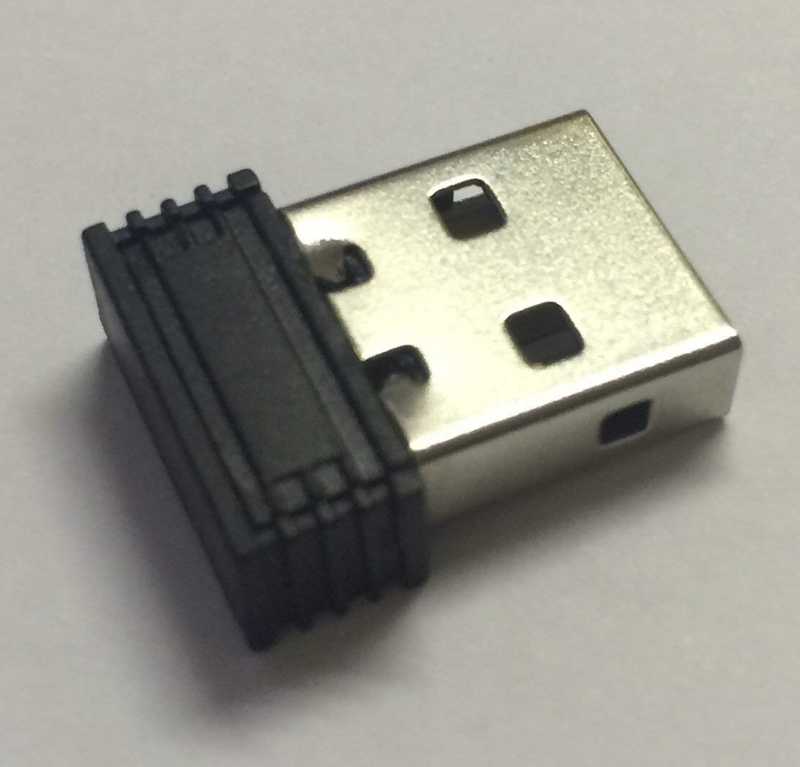 I eventually ended up getting a small USB dongle from Amazon. The dongle seems to work fine though it isn’t particularly configurable. It uses an iOS app to specify the UUID, major version, minor version, power and refresh. The reviews noted some set-up and support issues, but I followed the instructions and had it set-up and working with LCP within about 7 or 8 minutes; and that included resolving a problem logging into it with a pass code. It would be nice if I could reduce the power further as the range on it even at it’s lowest level through my home with the various walls, cables and obstacles is still a little too good, but if it becomes a significant issue, a USB extension cable, some ‘tack’, and some aluminum foil will probably let me control the locus of detection sufficiently. Overall I’m satisfied with it for my current needs. However, it has to always run an App in the foreground, so this is no permanent solution. can you plug it in to “any” USB port (eg PS3, router, etc) or does it have to be a laptop/desktop? if to a laptop/desktop, will it enable access to the computer’s contents? I’d like to use the iBeacon to trigger LCP to send me a notification when the last person (out of 2) leaves the flat, ie is 10 meters away from the iBeacon. Is this possible with this particular model? It is just a USB powered device as far as I know, so as long as there is enough consistent power, then it should be fine. The last point is something different again. First of all range measuring is tricky and see my note about the power above. Second, the devices are the action objects. They are triggered by the presence or non-presence of the beacon. Those devices would have to know about one another. If each device wrote their location to some file (and remember the user gets an alert only - they have to confirm the action manually) that some web service monitored and then when that file shows the count of devices no longer present as 2, it could then trigger the notification. But that’s prone to a lot of human error in terms of triggering. Perhaps if you have a particular automation tou would like to build you could post a new topic for it? There’s often more than one way to do things. I assume this can be plugged into any power strip that has a USB socket spare and “just work” with LCP. Yes - as long as the power is consistent. That may seem like stating the obvious, but as I noted in a previous post I had a battery pack at first, and the draw on the supply from the iBeacon seemed to be so minimal that the pack cut the power to the iBeacon after a little while. As long as the mains strip used doesn’t have a similar power saving ‘feature’ on the USB socket, then it should be fine. and “just work” with LCP. Within LCP, you set-up the iBeacon as a location identifier. It’s a manual step as you have to type in each of the iBeacon’s properties. The properties for the iBeacon must match those you have in the configuration app (eBeacon). My set-up is shown below. One is arriving tomorrow. Then I can see if the improvements I want to NFC curation also apply to iBeacons. @sylumer That iBeacon you recommended turns out to be very short range. Either that or my house is too large. I have mine set on the lowest power level and it is reachable everywhere in my house and out to the street (not a “big” house, but likewise not a 2-up 2-down - 9 rooms over 2 floors), which is probably 9-12 m from the iBeacon location through a single exterior wall). If you have a house with thick walls that could affect the range significantly. In my last professional role I had to deal with several cases where an employee lived in an older house with very thick walls and their WiFi signal was restricted to just a room or two as a result. Additionally placement might be an issue. Mine is actually located next to a large metal shelving rack that holds all of my stand alone gear - printers, NAS, mac mini server, rPis, etc. I was surprised it worked so well next to that, but general placement might also be a consideration. 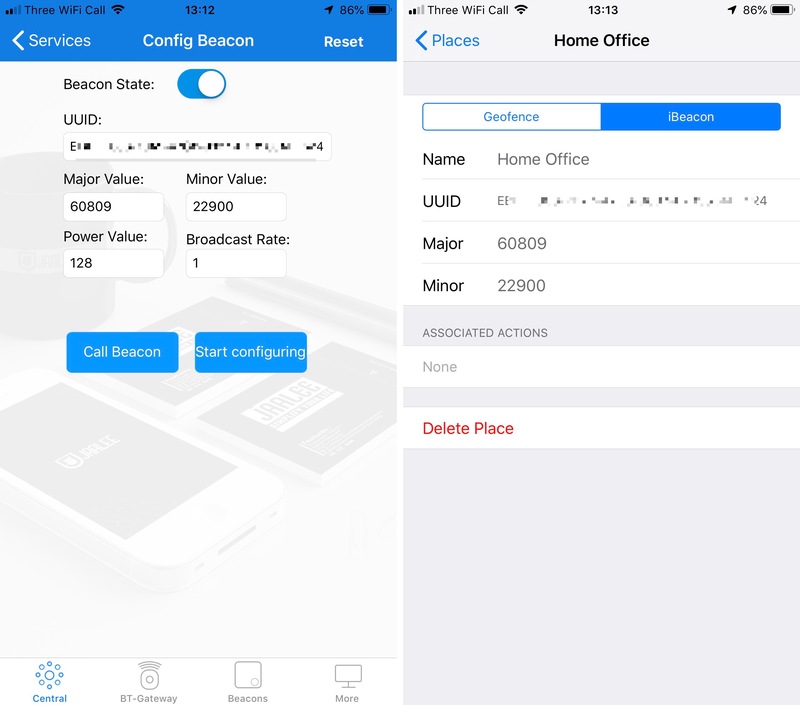 One useful thing to use the eBeacon app to check the RSSI level as you move away from the Beacon around your home and examine how it is affected by line of sight distance vs. other obstructions such as walls, proximity to other devices (e.g. routers, cordless landline phones). This should give an accurate picture of what, if anything, is attenuation the signal from the Beacon. Do also use the eBeacon app to confirm your power level setting. Maybe a little of topic, but I really wonder what kind of workflows people build around their e-beacon usage. Really would love to play with this, I have lcp installed, but don’t jet see a good usecase to buy a few beacons and do some cool things with it. iBeacons & LCP in combination can trigger actionable notifications when entering or leaving an area, and you can also specify time periods. Home automation is one of the more obvious things. Ensure that the garage door is always closed when you leave, turn on a set of lights when you arrive if it is after a certain time of day, etc. But you could use it as a trigger for sending a particular change in location message. This could be to an individual, or some sort of location tracking service (e.g. swarm). For more of an office environment, you could have LCP trigger a shortcut first thing in the morning as you arrive that jumps you straight into your calendar, to do list, etc. When you leave at lunch time maybe it could run a shortcut to grab the daily specials from your the web sites of some favorite nearby food establishments. When you return and it is a Friday, maybe you get a summary of your week’s tasks, from your task manager of choice, so you can give it a scan through in advance of the weekly review meeting. At the end of the day on leaving, maybe it compares the timing on a couple of commute options. Think about what you want to do when you arrive or leave somewhere within some time frame. If there’s nothing, don’t worry about iBeacons. If you’re not sure, try a geofenced location. 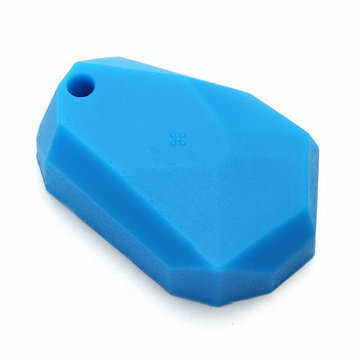 If you like it, then improve the accuracy/reliability with an iBeacon. NFC is also another ‘super-hyperlocal’ trigger option, as long as you remember to use it. The same technically goes for QR codes though that’s somewhat independent of LCP. As well as fixed locations, you can also find use cases for variable locations. Particularly where where an iBeacon is not always powered on. Whilst some iBeacons are battery powered, others are powered by USB. If you have one in your car’s multi-media system or a charger socket, then you could trigger a podcast, navigation combo. If it is in your laptop, maybe it could trigger a notification to run a shell script (e.g. via Shortcuts) to lock the laptop if you have ventured away from it, or you could use it to log when you start and stop work in your favourite iOS time tracking app. Hopefully that gives you some ideas of the sorts of areas iBeacons might be useful in, specifically in regards to LCP action triggering. There are of course other uses in other apps that support iBeacon triggers (though they tend to work in the same way, within what Apple currently permits), and there are of course many marketing opportunities - just do a search in your preferred search engine to get plenty of information on that. But if you are involved in physical retail spaces, then maybe that’s an area to consider too? Thankyou so much for outlining all the possibility’s. What I did not realized was that you can make more then just one action on a location. THe fact you can set multiple shortcuts based on diffirend timestamps or calendar events is just amazing.